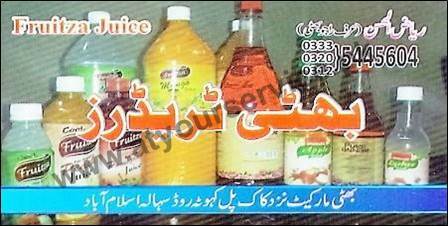 Bhatti Traders deals in distribution of all kind of Beverages. Bhatti Traders is located in Bhatti Market Near Kak Pul Kahuta Road Sihala, Islamabad. It deals in distribution of all kind of Beverages.